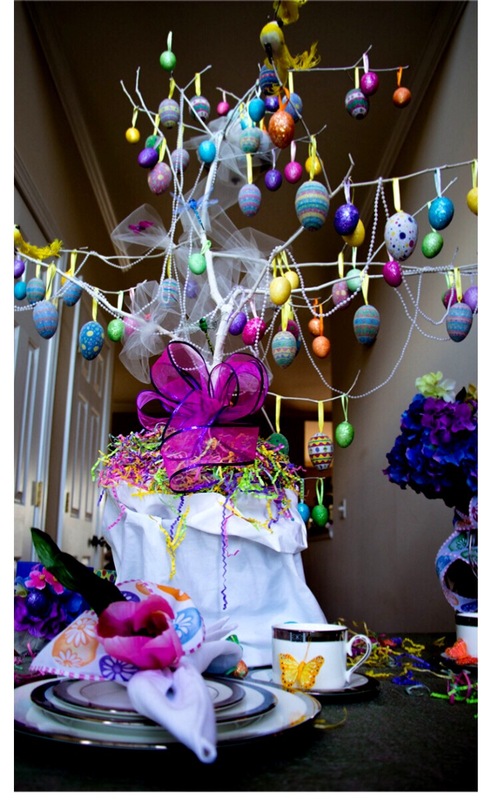 A few years ago, I came up with this “tree” idea to decorate for Easter. Then I realized this tree could be utilized during just about any holiday and theme parties. I have utilized this tree during holidays or different occasions. I even used it at my daughter’s wedding on her candy bar. I tied hot pink candy bags to the branches and the tree looked like it was in full bloom. Gue…sts loved the idea! I made two sizes; a tabletop version that is about 3 feet tall and a floor version that is about 6 feet tall. The above 4 supplies is all you need to make the “tree.” Then using your imagination: string lights, garland, hang trinkets to adorn the tree branches for weddings, baby showers, graduations, family trees, bridal showers and every holiday on the calendar. Happy decorating!